Samsung’s moral corrective had been issued on paper, but it did not translate so well for the Chinese workers. So the moral corrective had been issued on paper. But it did not translate so well for the Chinese workers. The New York Times reported afterward that, according to Shinyang, “the factory was preparing to lay off its 600 workers.” The supplier also blamed the underaged hires on an outside employment agency, rather than Shinyang’s management. The suspension of business with Shinyang will lead to lay-offs of hundreds of workers who are not to blame for the mistakes made by Shinyang management and labor dispatch companies. If these workers are fired due to the sudden reduction of Samsung’s production orders, Samsung is responsible for the fair and legal compensation of these workers, who will need to support themselves and their families without a job. Child labor and other worker abuses have occurred in Samsung’s supply chain, yet its solution is to punish even more workers. This reflects Samsung’s lack of respect for workers’ rights. Though it is unclear whether Samsung will take any further remedial steps (media inquiries have not been returned), its PR calculus makes sense. Having just put out a laudatory “sustainability report” touting its ethical production standards, the company might have figured abandoning a scandalized supplier would be more cost-effective than investing in actual improvements to Shinyang’s working conditions. For workers, however, Samsung’s “sustainability” means massive disruption to an already precarious existence. Since multinationals, as profit-making entities by design, can’t be expected to atone for ethical violations, their “corrective actions” aim more for shoring up reputation than raising standards. Samsung has dealt with child labor allegations in the past, also raised by CLW, by deploying a “zero tolerance” corrective action plan that included a supposedly state-of-the-art facial-recognition ID screening system, along with a grievance hotline and other workplace reforms. Yet CLW has continued to criticize its weak regulation of child labor, and the Times reported that several teens found it easy to circumvent the screening with false documents. The root cause of child labor isn’t lax screening but a volatile, unregulated labor market that absorbs anyone who needs the work, including school kids. Whether the employment agency or the factory bears responsibility for hiring children, the underlying quandary is that child labor violations do not show labor markets malfunctioning; rather, it shows markets working all too well. Quartz describes this market logic at work in Apple’s efforts to address child labor discovered at factories through a rehabilitation program, designed by a “social responsibility consultancy,” which pays a stipend to ex-child workers to stay in school. That sounds like a win for the kids, but overall participation has been surprisingly weak, in part because for many families, it may still make more economic sense to put their children to work instead of banking on an education; youth are facing a soaring cost of living amid intense competition for jobs. Samsung actually admits some of those structural problems in its sustainability report. Though the report claimed that factory audits found no incidence of child labor, buried in the anodyne PR language is documentation of other abuses: hundreds of worker surveys uncovered nearly 500 issues involving occupational accidents and diseases and about 760 cases involving wages and benefits. Samsung repeatedly claims it has responded with corrective actions, but in many cases, this appears to have taken the form of a mere request for the supplier to reform its practices. The beauty of “third-party audits” is the benefit of plausible deniability: companies can distance themselves by blaming suppliers for “non-compliance,” while ignoring the economic structures that makes compliance unprofitable. If it has the will, Samsung, with its billions, has the resources to find this balance and positively affect the conditions of hundreds of thousands of workers. Samsung can control product quality and will invest the time and money to do so. They should apply the same principles to labor conditions. But multinationals take action only if it hits their bottom line. Public pressure—from western shoppers, media or government institutions—could shame a company into action, as the anti-sweatshop movement has done in Bangladesh’s garment sector. But the only real remedy would be one directed by workers themselves, if they can marshal their collective power through workplace organizing. The tech industry’s paternalistic “corporate social responsibility” programs attempt to buy the loyalty of workers and stave off labor unrest. But labor tensions are growing in Asia’s electronics industry. In recent months, workers at NXP, an Apple supplier, have demonstrated in the Philippines against alleged suppression of labor organizers. 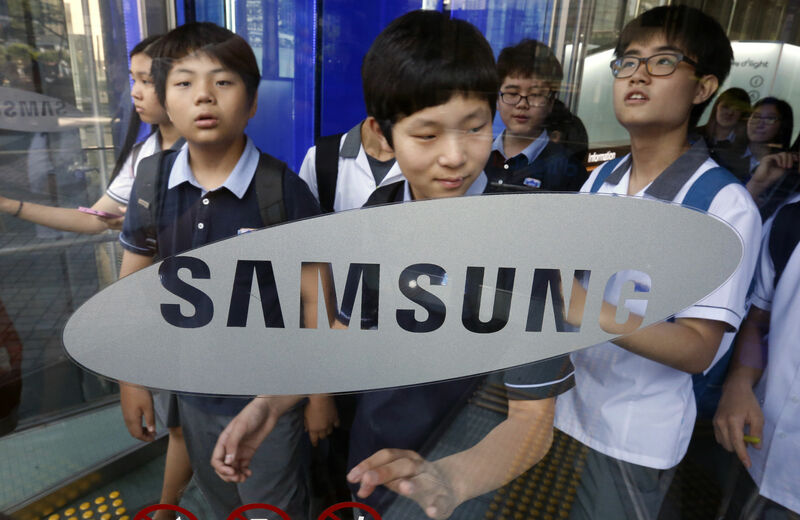 Samsung workers in Korea have campaigned fiercely for the right to unionize, accusing the company of retaliatory attacks on labor organizers. At the same time, a recent report by the Centre for Research on Multinational Corporations shows that in the world’s tech manufacturing hubs, workers face severe barriers to unionization, ranging from government interference in union votes to threats of “discrimination, intimidation and even violence or murder” against union representatives. Overall, corporations do not prioritize freedom of assembly in their ethics codes, compared with the more scandal-ready violations like child labor. At the same time, enforcement of those higher-order labor rights—which go beyond bread-and-butter issues to ensure some form of workplace democracy—are integral to building a sustainable workforce. This brings us back to the factory floor at Shinyang, with its legions of young workers, churning out high-tech toys that will sell for more than a week’s wages. With an independent union in place, maybe longtime employees could have spotted child workers on the assembly line, or workers could have organized to petition for unpaid social insurance, or collectively bargained for a raise or held their bosses accountable for chemical exposures on the assembly line. In a way, freedom of assembly is the one right that helps guarantee all the others. And as the only right that directly threatens corporate power, the right to organize is not only a low priority for “social responsibility” initiatives; it’s precisely what they’re trying to pre-empt. When confronting their bosses, ethical gestures aside, workers have to fight for those rights, because nobody else will.